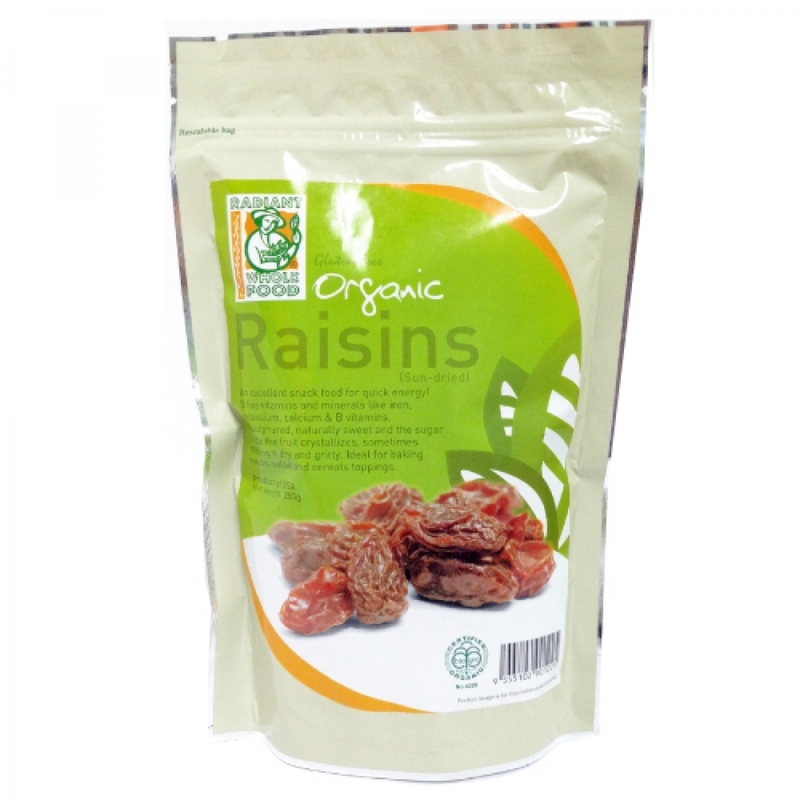 Radiant Organic Raisins are sun-dried, without the use of sulphur or anything artificial. Just the way nature intended. They’re naturally delectable without any added sugar and are high in fiber—perfect for a healthy snack! Raisins derived from dried purple grapes, are top-notch snacks when it comes to nutrition. Not only are raisins healthy, they’re convenient and inexpensive. They can be enjoyed as a snack. Can mix raisins with peanuts, cashews, almonds and other dried fruits or seeds as a healthy, between-meal snack. Sprinkle over to enrich fruits salads, yogurt, cereal or oatmeal. Add to bakery items like cookies, muffins, breads, cakes and etc.